Champaign County manufacturers, local educational institutions and the Champaign Economic Partnership are working together to prepare more students for skilled manufacturing jobs. Their most recent initiative is creating a new part-time position – business liaison – says Marcia Bailey, director of the Champaign Economic Partnership (CEP). The CEP and Ohio Hi-Point Career Center have introduced the new position, with the help of financial supporters – the Champaign County Human Resources Manufacturers Council, DP&L, Clark State Community College and FASTLANE. Ashley Cook, Ohio Hi-Point’s new supply chain management instructor at Urbana High School, will serve as the business liaison 10 hours a week. She will coordinate activities that bring educators, students and manufacturers together. 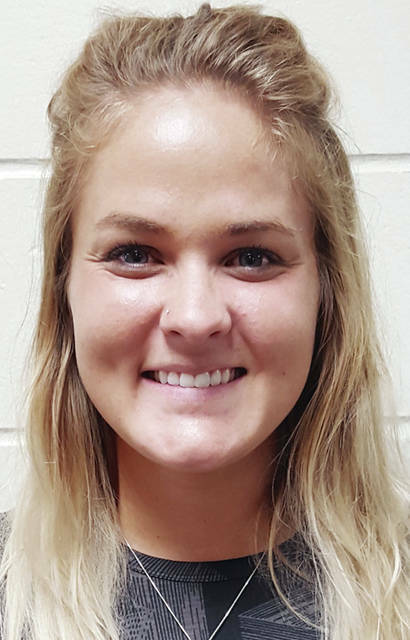 Cook, who will report to Bailey in her role as business liaison, is an Urbana High School graduate and in 2016 received a bachelor’s in organizational leadership from Wright State University. Before becoming supply chain management instructor, she recruited students from 14 partner schools for Ohio Hi-Point’s main campus in Bellefontaine, launched the school’s first online application and led Hi-Point’s Student Ambassador program. “Ashley will visit manufacturers to see what their workforce needs are, and she’ll be going to the schools to help make sure their curriculum is where it needs to be to prepare students for career opportunities,” Deb Wortman, Ohio Hi-Point satellite director, said. Cook adds that she will help manufacturers spread the word to schools about internships and job shadowing opportunities, advertise open positions, and help coordinate job fairs, open houses and other activities where students can learn about career opportunities in local manufacturing.